Revenge rides a dark horse—and Nancy’s the target! Nancy is going to visit one of her best friends, Colleen, who is horse crazy and has her own horses. With one of the best of them, Nightingale, she is going to race in the Midwest International Horse Show. The prizewinning filly is worth a cool $200,000, and that kind of cash can breed plenty of greed, ambition, and danger. 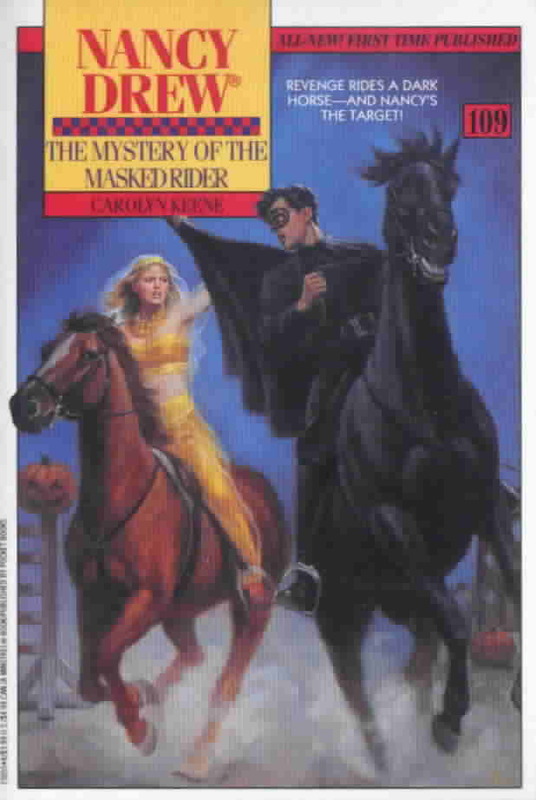 Soon Nancy has her hands full trying to stop the mysterious culprit, The Masked Rider, who wants to kill Nightingale.